When you have a clog, blockage, leak or other emergency plumbing issue in your Brentwood, TN (or any other part of Nashville) home, our pros at Advantage Plumbing have the experience, urgency and skills to keep your house from flooding (more). We know how problematic emergency plumbing issues can be and also understand that the longer they take to be fixed, the more likely they will be to cause damage to other parts of the home. If you’re looking for an emergency plumber, regardless of the hour since we offer 24/7 emergency plumbing services, you won’t find a better or more efficient team than our experts. We will work quickly to find assess the cause of your plumbing problem, then carefully clear, clean, replace or fix the issue – making sure you won’t be faced with any other emergencies in the foreseeable future. Through precision and speed, our team will get your home operating normally and reliably as soon as possible. If you do encounter a flooding emergency though, there is a critical step to take before you even give us a call – shut off your water! Check out the video below to learn how to deal with an emergency plumbing situation, then give us a call at (615) 781-1239 right away. You can also send us a message online for any maintenance or routine plumbing appointments or questions. We offer plumbing services in Antioch, Arrington, Ashland City, Brentwood, Christiana, Franklin, Gallatin, Greenbrier, Goodlettsville, Hendersonville, Hermitage, Joelton, Kingston Springs, Lascassas, LaVergne, Lebanon, Madison, Mt. 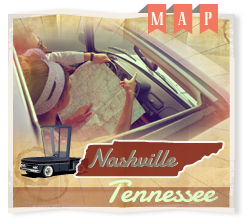 Juliet, Murfreesboro, Nashville, Nolensville, Old Hickory, Pegram, Pleasant View, Portland, Ridge Top, Rockvale, Springfield, Spring Hill, Smyrna, Whites Creek and White House, Tennessee.